Search New Sorento . . .
We have a large selection of brand new Kia vehicles to choose from. and are in the market for a new or used car, then you have come to the right place. 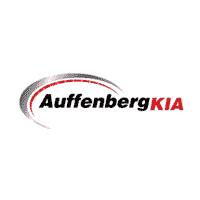 Because if there’s one thing we love more than our lineup of new and used cars, it’s serving customers like you here at Auffenberg Kia. professionals at 106 Auto Court, O'Fallon, IL to see for yourself! vehicle owners after 90 days of ownership, surveyed in February-May 2016. Your experiences may vary. Visit jdpower.com. are available to be seen, but we are not able to hold or take a deposit on any vehicles. Special APR cannot be combined with these great discounts unless previously noted. Special APR generally requires well-qualified buyers. CVR is an optional Fee. For a price with special interest rates, please contact our sales team in person, by phone, by email, or by web chat. The value of used vehicles varies with mileage, usage and condition. Book values should be considered estimates only.